Samsung mobile is the leading mobile brands in Indian handset market, Samsung Mobiles set to launch another Android mobile, the Samsung Galaxy Fit S5670, in India. The new device is aimed at the budget-minded consumers who don’t wish to spend much on phones, so this handset with an attractive price tag of Rs 12880. 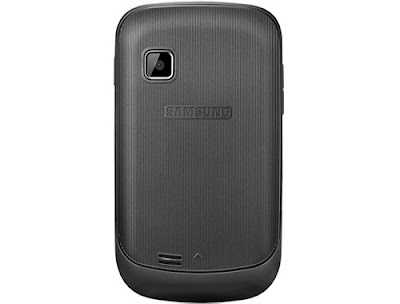 Samsung has officially announced the release date and price of this Android mobile. 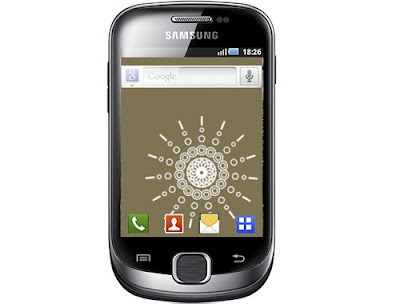 The GALAXY series was inspired by the success of the original Samsung GALAXY S which has seen huge sales around the globe. The form of the phone is Candybar with full interface. Samsung Galaxy Fit supports key messaging services. Users could access popular Google services. The Swype powered virtual keyboard is easy for typing. Bluetooth, high-speed microUSB 2.0, 3.5mm headset jack and Wi-Fi connectivity are other prominent features of Samsung Galaxy Fit. The Samsung Galaxy Fit has wireless connectivity in the form of Bluetooth. The Samsung Galaxy Fit has internal memory. The Samsung Galaxy Fit comprises of internal memory and the external memory can be extended up to 32 GB using a microSD, microSDHC card. The Samsung Galaxy Fit has a display type TFT. The main screen is of size TFT having the resolution type which has the capacity to cover the pixilated area of 240 x 320(nHD). Just like other Smartphone’s of the same category, the new Samsung Galaxy Fit will come with accelerometer, proximity sensor and compass. The dimensions of the phone are in the figures of 4.34 x 2.41 x 0.50 mm The Fit S5670 has digital compass and GPS with AGPS support. For physical connectivity the phone supports GPRS, Bluetooth, Wi-Fi, EDGE, 3G and USB. The phone is powered by 1350mAh Lithium Ion battery which gives a backup of 640 hours on 2G and 420 hours on 3G The Samsung Galaxy Fit has basic messaging feature like SMS. The connectivity options on the phone include Wi-Fi 802.11 b/g/n, Bluetooth 2.1 with A2DP, microUSB, 3.5 mm audio jack and 3G HSDPA, 7.2 Mbps. The Samsung Galaxy Fit has advanced feature like Instant Messaging which enables users to chat on mobile. The Samsung Galaxy Fit (above) has got a 5-megapixel camera and a 3.31-inch touch screen. The 5 MP camera is good and pictures of good quality are assured. The Samsung Galaxy Fit has a Video recorder. The Smartphone is good and getting valuable responses from the customers. The performance of the mobile is very nice.